Negotiating: It’s two pit bulls locked in a room and one is going to be forced to roll over. Ick. That mentality is not only outdated, but will get you nowhere. 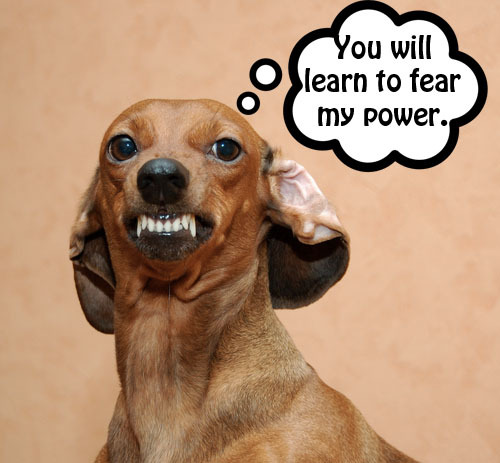 That’s because, frankly, baring teeth and barking the loudest doesn’t have the power it might seem to when bargaining. When deal making gets tense, no one ever wants to back down. In Roger Fisher and William Ury’s negotiating text, “Getting to Yes,” the experts suggest that instead of viewing your counterpart as the adversary, you focus instead on the merits of the case and search for ways to achieve reciprocity. The idea is to “attack” the underlying issue, rather than the other negotiator. This is how you look when you try to act tough during negotiations. When All Seems Lost, Gain Something Else. If a negotiation is going nowhere, and taking up too much of your time and energy, you may want to walk away from it. Before you do, entrepreneur Janine Popick recommends that you stop and think: What else can my company or I get out of this situation? Might someone else give the negotiations a try? Or perhaps you can use the bad situation as an opportunity to train someone at your company on how to deal with toxic clients. Remember: You’re Already a Pro at This. However much you think you negotiate, you’re probably underestimating your experience. That’s what bargaining manual Getting to Yes posits. “Everyone negotiates something every day,” the author wrote. And in Bargaining for Advantage, author G. Richard Shell agrees: “All of us negotiate many times a day.” Yes, your co-workers, children, spouse, and even fellow passengers on the train, help you refine your skills day in and day out. Utilize these 7 tips to reach your own level of negotiation mastery. This entry was posted in florida real estate school, larson educational services, naples real estate school and tagged florida, florida real estate school, larson, larson educational services, larsoned, Naples, negotiation, real estate, school, services, tips. Bookmark the permalink.